Siemens believes this successful flight means that we'll soon be seeing hybrid electric aircraft with four or more seats. 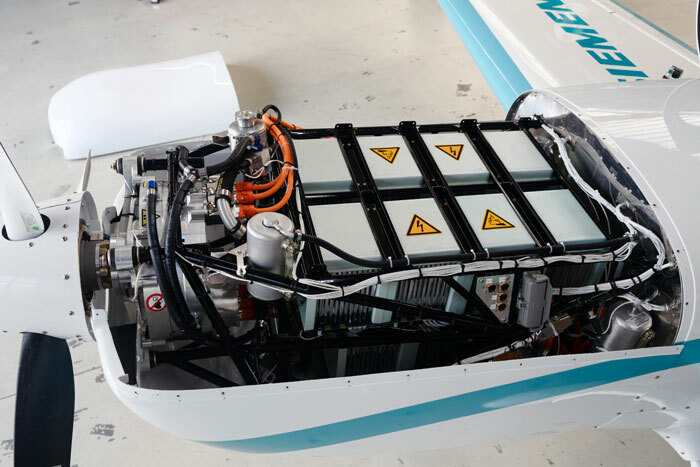 Manufacturing and engineering giant Siemens recently demonstrated the capabilities of their new electric aircraft motor with the motor’s first flight. The demonstration took place at Schwarze Heide Airport near Dinslaken, Germany. The electric aircraft motor is capable of delivering a continuous power output of around 260 kilowatts (5 times greater than competitors drive systems, according to Siemens officials) and weighs only 50 kilograms (110 pounds), which is a record-setting power-to-weight ratio. The motor, running almost silently, was installed in an Extra 330 LE aerobatic plane. The aircraft was created in cooperation between Siemens, Extra Aircraft, MT-Propeller, and Pipistrel. Siemens believes this successful flight means that we’ll soon be seeing hybrid electric aircraft with four or more seats.